The general market is largely susceptible to shifts in demand and proclivities, and advances in production and technology can often render obsolete many of the market's prior mainstays. For this very reason, specific sectors, industries, goods, and services have been forced to improve, adapt, or assimilate, or to instead vacate the market altogether. Let us venture into an imaginary setting with a human population of 2,437. One given weekend, this town unsuspectingly receives an influx of more than 900 people. The local diners, motels, grocers, and ice cream parlors are suddenly eviscerated of stock while their respective capacities are tested by the sudden appreciation in demand. In response to the immediate explosion in demand, the businesses expand their scales of production, their staff, and the capacity of their infrastructure. One week later, that population of greater than 900 leaves the area, and the businesses are left with excess supply and staff, oversized infrastructure, and an expensive tab. This misinvestment was surely due to the failure of businesspersons' predictive models and time horizons which failed to both recognize the impetus behind the sudden surge of demand and anticipate the subsequent dissipation of demand from the market. 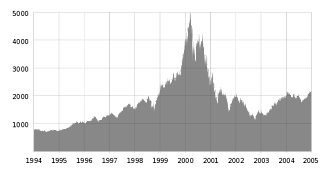 The business cycle is the macrocosmic extrapolation and systematization of misguiding signals to the market which rival those created by the aforementioned scenario. Shifts and corrections are inherent in the market. However, booms and busts of the scale witnessed during the bubbles in dot-coms, housing, the bond market, higher education, and the general U.S. equities market have spawned from collectivized instruments of risk, the moral hazard of obfuscatory guarantees and grants, the perils of fractional-reserve banking, the expansion of the general supply of money, and the artificially low interest-rate environment, all of which encourages speculation and risk over savings and scrupulous lending while securing an eventuality of unavailable credit and realized substantive losses only temporarily received as nominal gains and profits.